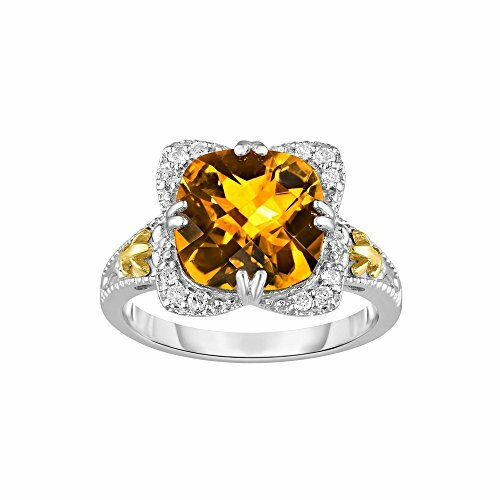 [ Potential Enhancement Methods: citrine ] - Usually heat treated or irradiated to improve color. [ Care and Handling: citrine ] - Do not expose to intense heat. Clean with warm soapy water and a soft brush or cloth. [ Care and Handling: diamond ] - Clean with warm soapy water and a soft brush or cloth. If you have any questions about this product by JewelryWeb, contact us by completing and submitting the form below. If you are looking for a specif part number, please include it with your message.